How a Crystal Bed Works? The combination of crystals and light works to heal the body and create a serene feeling that will carry with you throughout the day. The energy that is transmitted provides a beneficial effect that cleanses, energizes, and balances the chakras or energy centers in your body. Basically, the bed works by clearing out the negative and providing a positive balance that helps you feel better. Those who benefit the most from each session are practically everyone. Because the treatments are non-invasive and easy to perform, they are suitable for all ages. Those who benefit the most are people who are encountering stress, not feeling energetic, or those who want to clear their minds and start anew. 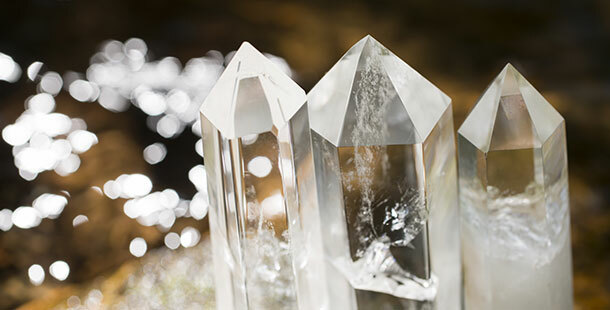 For those who try the crystal bed sessions complete with quantum resonance, the results have been quite noticeable. For most people, each session in the quantum resonance crystal bed will last from 20 minutes up to 45 minutes. The factors in determining the length of time you spend in the bed include your age, physical condition, and amount of treatment that is deemed to be needed. For those who are just starting out, a 20-minute session is recommended. As the treatments increase, you will stay longer in the bed, but 45 minutes is usually the maximum. The number of treatments that you will experience will vary, but most will start to feel the overall effects after a few weeks. You may have one treatment per week over several weeks or may have fewer treatments which will depend on end results. It’s quite common for those taking the treatments to do so in sets, so they can stay rejuvenated over time. The addition of the quantum resonance in the crystals used for the bed make the sessions more productive. After several treatments, you should feel better and more energized. That’s because the combination of crystal and light therapy balances the body and cleans away the negative energy. You feel fresher, more energetic, and ready to take on the day. For those who are seeking an energy renewal, a means to bring about balance in your body, the quantum resonance crystal bed may be the answer. Through a series of short, simple therapy sessions, you can cleanse your body of negative thoughts and provide it with positive energy that reduces stress and gets you ready for the days and weeks ahead. ‹ How Much Can You Lose Weight from Colon Therapy?